A general guide for Arts & Science students at the University of Toronto. Brought to you by the students in the Innis Registrar’s Office. As a First Nations student at the U of T, you have access to all sorts of resources, some of which may seem fairly obvious, and are available to all U of T students, and many of which are specifically geared toward First Nations students. 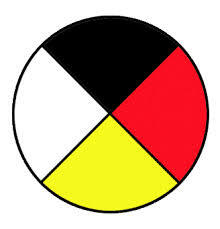 First Nations House is the primary centre for First Nations resources. It is located at 563 Spadina Circle, on the lower southwest corner of the St. George campus. It is a very large space with several student lounges, a conference room, a student computer area, and the offices for the staff for basic First Nations student supports at the University. The Centre for Indigenous Studies is the second main organizational resource for First Nations endeavours at the U of T, which is housed in the same building as First Nations House at 563 Spadina Avenue. This is the bureaucratic and physical hub for the undergraduate Department As a First of Indigenous studies at the U of T; it houses the centre’s offices, as well as some faculty and student group offices as well. In the current wake of the Truth and Reconciliation Commission’s work, the U of T has responded by initiating/expanding a third bureaucratic branch for First Nations resources and development on the St. George campus; The Indigenous Initiatives Office. One of their mandates is to implement the 94 calls to action of the TRC insofar as they are relevant to the work that the U of T is engaged in, and one of their subjects of study is the continued engagement., recruitment and retention of First Nations staff, faculty and students at the U of T.
Your local college registrar is very much open and willing to engage and assist First Nations students. The Registrar’s Office is your first stop for academic, financial aid or personal advising. To learn more and find out the contact information of your local registrar, please click here. Many student organizations strive to provide a welcoming and inclusive space for members from Indigenous backgrounds. Native Students’ Association (NSA) has their offices on the fourth floor of the North Borden Building at 563 Spadina Avenue. This group is open to an exclusively First Nations membership, and as such, is arguably in a stronger position to address the political, social and bureaucratic concerns of undergraduate First Nations students at the U of T because it is compromised exclusively of First Nations students, who have probably experienced similar concerns or at the least are committed to making the paths of other First Nations students at the U of T as smooth as possible, in response to their own issues along the journey. On the lighter side, the NSA is also a social organization, and word on the street has it that 2018/2019 is going to be a strongly represented year with several upper year students openly desiring a more active First Nations’ presence on campus, both socially and politically. Indigenous Studies Students’ Union (ISSU) was and is organized by students who major, minor or otherwise take classes in the Department of Indigenous Studies. IT is open to all students in the program, regardless of ethnicity. They have been quite active in presenting various social, political, and educational events that are open to all students of the U of T. Whether or not you are in the Dept. of Indigenous Studies, it is advisable to stay abreast of ISSU and their comings and goings, even if it is just to keep up with the Joneses in that particular department. Their office is located at The Centre for Indigenous Studies, on the second floor of the North Borden Building at 563 Spadina Avenue. Widening the scope of your social interactions might very well end up in the random and blessed first interaction with a significant other or BFF…who knows? Various academic resources are available exclusively for students from Indigenous backgrounds. Make a smooth transition into your University of Toronto experience. Orientation will help you connect with campus life, learn about opportunities and meet new people. It’s a great way to make friends on campus. Find out more about Orientation Week. A learning strategist can help you learn to manage time and address procrastination issues and stress, develop new strategies, including active studying, reading and note-taking, and exam preparation and Improve your research, writing, and presentation skills. First in the Family is a peer-mentorship community to help you develop skills both inside and outside of the classroom and form friendships and leadership skills. Find out more about the program here. First-Year Learning Communities (FLC) Program in the Faculty of Arts and Science is designed to improve the transitional experience for first-year students. FLCs provide first-year students with the opportunity to form study groups, and develop academic and personal skills.